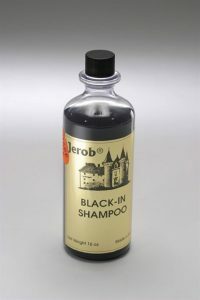 Jerob Black-In shampoo has been specially formulated with optical brighteners to enhance black and dark coats. It leaves the coat shiny, with highlights, and is non-irritating. 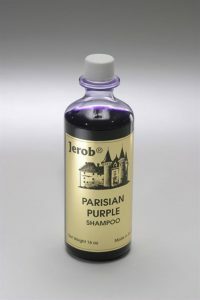 Jerob Parisian Purple shampoo has been specially formulated with optical brighteners to enhance cream and light blue coats. It adds highlights, and is non-irritating. 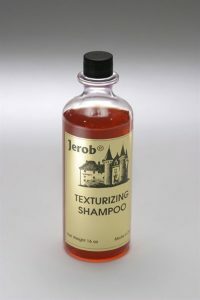 Jerob Texturizing shampoo contains special agents to add body to fine coats. 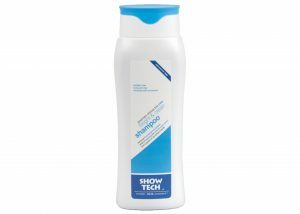 It will help to eliminate static, and is non-irritating. Anju Beaute Abricot beauty care shampoo intensifies, brightens and enhances the intensity and shine of all shades of amber, apricot, blonde, cream and sand coats.